Doctors note that antibiotics do have the potential to cause harm to certain patients. On top of developing a resistance to necessary antibiotics, allergic reactions can trigger indigestion, anaphylactic shock, or C. difficile infection, which can lead to severe diarrhea and other intestinal problems. However, even with these risks in mind, the use of antibiotic prophylaxis in dentistry are often outweighed by the benefits. Most individuals will not need it prior to their dental treatment, but others with underlying conditions can avoid triggering infections in other areas of the body by receiving it. In the past, those with almost any congenital heart defects needed to have antibiotics before dental treatment, at least according to the American Heart Association (AHA) and the American Dental Association (ADA). However, the AHA changed their guidelines to only include those with specific heart issues, including those with a history of infective endocarditis. 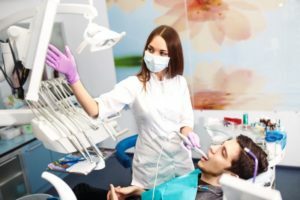 If you were used to receiving antibiotic prophylaxis for every dental treatment in the past and suddenly discontinued its use at your next cleaning, it could land you in the hospital. This would be a reasonable example of when antibiotic prophylaxis is necessary. Furthermore, those who have recently had joint replacement surgery may need to consider a short-term antibiotics regimen, even though the ADA and American Association of Orthopaedic Surgeons state that the risk of an infection developing is low. For one, those who needed joint replacement surgery tend to also suffer from compromised immune systems. Diabetes, rheumatoid arthritis, cancer, chronic steroid use and chemotherapy can all lead to a compromised immune system. In these instances, antibiotic prophylaxis will likely be necessary. If the dentist decides that antibiotics are ideal for your unique condition, they’ll need to make sure they choose the right antibiotic to prevent infection. One common example is amoxicillin, which works to prevent many microorganisms that target the heart and joints. If you have an allergy to amoxicillin, clindamycin is an acceptable alternative. If the dentist holds any doubts on which antibiotic to use, they’ll obtain a medical consultation from your general physician. While antibiotics are not always necessary prior to dental treatments, it’s always better to be safe than sorry. 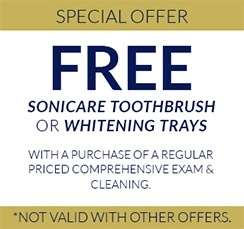 If you have questions about your needs for your next treatment, schedule an appointment with a dentist in 21117! Dr. Monica M. Mattson earned her DDS degree from the Case Western Reserve University School of Dental Medicine. She takes all of her patients into careful consideration before administering treatment. By keeping a detailed medical history and keeping it updated after every visit, she can provide the safest and most effective treatment possible. To learn more about her practice, you can contact her through her website.